While both South American and African cichlids can be aggressive, the red devil has earned its name and a place at the top of the list. You can satisfy your red devil's hunting instincts by adding live prey to its diet. The red devil is omnivorous and needs live protein and vegetable matter for optimum health. Live foods provide necessary enzymes and should constitute at least one of your cichlid's feedings each day. Purchase live food at a fish store or easily raise some at home to supplement your cichlid's diet. 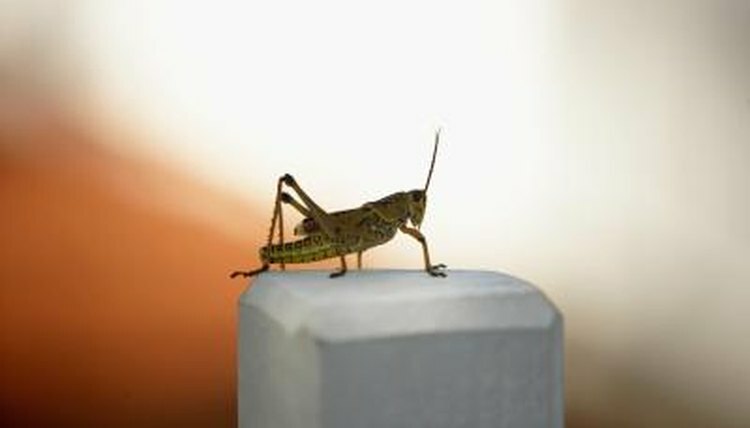 Crickets and feeder roaches are among the easiest populations to maintain for feeding your red devil, but you can also use earthworms, nightcrawlers, shrimp or feeder fish. Your red devil also enjoys fresh vegetables in his diet. Use a lettuce clip to attach vegetables to the side of the tank for easy cleanup. Broccoli, lettuce and cucumber slices are all appropriate fresh, living food for your cichlid. You can also drop a few cooked peas or carrots in the tank. Be sure to feed only as much as your red devil will consume in a few hours and remove the leftovers to prevent uneaten food from soiling the tank.